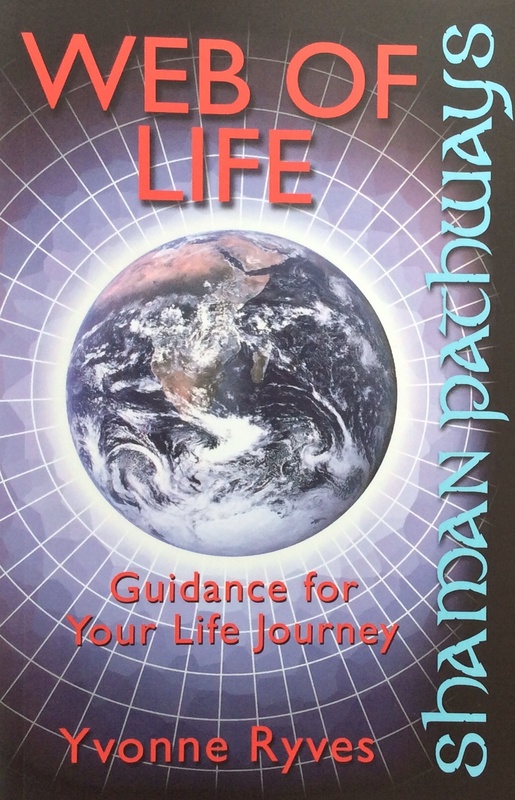 As some of you reading this may already realise, I my first, and so far only, book, ‘Web of Life’ was published by Moon Books as part of their Shaman Pathway series but did you know there are lots of other books in the Pagan Portals and Shaman Pathways series too? A Facebook page was also set up recently for the series. These series consist of lots of small books, packed with information and in many cases, exercises to help you, so why not click and have a look. If you like the page then its easy to stay on touch with what is being published in the series too. 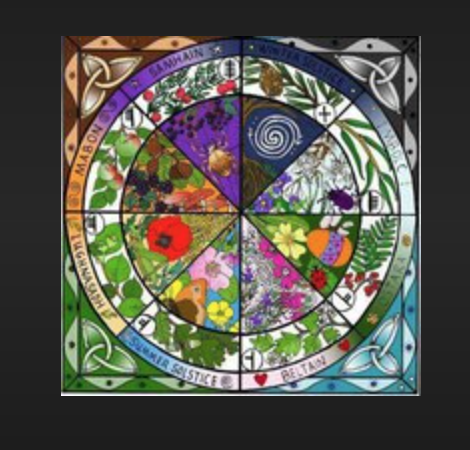 The fourth question posed in the pagan challenge is to write about your take on the wheel of the year so this is mine and it follows on nicely from my last post about my book Web of Life for it was writing this book that helped me get my own wheel of the year in place. As I was writing the book, so my own web of life was developing and as it did so I learnt, as do others who work with the book, about what was important to me. At first I tried to fit in all the pagan festivals of the wheel of the year in the way they are usually placed in connection with the seasons they are associated with, but I soon realised that it didn’t sit well with me at all. I then realised that at this point in time I really had no connection with many of the festivals. I also realised that it was only Summer and Winter Solstice, Samhain and Bealtaine that were part of my life and resonated with me so these became my wheel of the year within my web of life and I let everything else go. These points in the wheel of the year fitted me as they are still very much part of the culture I live in. Here these festivals are named and marked, the Winter Solstice is looked forward to as a marker of longer days ahead and was at that time shown live from Newgrange. Bealtaine is a time of festivals, Summer Solstice a time for gatherings and Samhain often brings drumming and dance. Other than this, as a shamanic pagan I didn’t have a belief system that involves a wheel of the year but in the time between writing my book and now I have been studying with the OBOD (Ovates, Bards and Druids), initially as a Bard and currently as an Ovate. Working with the festivals of the year, performing ritual and celebration at the time of each festival and really getting a feel for the purpose of them was very much part of my path as a Bard. For that time in my life they were all recognised and firmly marked. My own web of life, which takes the place of a wheel for me, shifted to incorporate all eight festivals. Now though as an Ovate I have again experienced a shift in the way I connect with the wheel of the year and how it fits into my web of life. Whereas whilst training as a Bard it felt right to follow the ritual and celebration of each turn of the wheel now it no longer does. This shift happened with no conscious thought or planning on my part but rather by osmosis. I now find that I have a much closer connection with and awareness of the changes in the seasons, the time of the year and hence the festivals of the wheel. I no longer see the need to practice ritual for the sake of it and only do so when it feels right for me. Instead I find myself living the wheel of the year through my awareness. I find I am recognising the turns of the wheel because they are becoming part of me rather than something outside of me. At times now it seems I instinctively know when for example it is Imbolc rather than having to look it up in my diary or because the ritual is next in the pile of things I have to work though.